Why are There so Many Different Kinds of Dogs? How do other Countries and Cultures View and Think about Dogs? Anywhere you go in the world, if there are people, there will be dogs. Just as there are many different cultures and people, so are there different attitudes about dogs. In many cultures, like those of Canada, the United States, Europe, and Japan, to name a few, dogs are most often viewed as beloved pets and members of the family. Dogs are sometimes treated like children, and may have their very own bed, toys, and even clothes. Some people love their dogs so much they buy designer accessories, from clothing, to collars, to food bowls for their beloved pets. Some businesses cater exclusively to canines (dogs), offering grooming services, pedicures, and spa treatments. Owners may even decide to throw a doggy wedding for their pets! In other circumstances, dogs are still used as they were many years ago: as working professionals in many fields. Some dogs are used as herders of livestock, obeying the commands of their masters as they gather and move flocks of sheep or herds of cattle. Others work as guard dogs, protecting homes, businesses, or herds of animals. Dogs are even used in the police field. Police dogs work with their officers to catch criminals, sniff out illegal drugs or explosives, find missing people, and other related work. Many dogs are trained to assist the blind, the deaf, and other people with disabilities, helping them do everyday tasks like retrieving items, guiding their owners outside the home, opening doors, alerting their owners to different sounds, and helping their owners put on articles of clothing. Dogs are often viewed in many cultures as loyal and faithful companions in books, movies, TV shows, and advertisements, as well as in history. One beloved book about dogs is entitled Where the Red Fern Grows and tells the story of a boy who saved money for several years to buy two hunting dogs of his very own. The boy and his dogs share a strong bond; the dogs love the boy so much they put their lives on the line to protect him from danger. 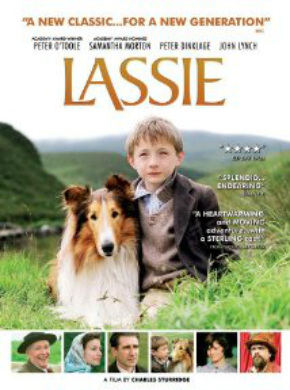 As for movies, one of the most famous movie dogs of all time is Lassie, a collie who, in one of his adventures, saves a little boy who has fallen into a well by running for help. These are just two of the many examples of dogs in popular culture. History is also filled with examples of dogs remembered for their faithfulness. For example, in Japan, a dog named Hachiko who once waited every day at the Shibuya train station for his master to come home after the man had passed away is revered and honored today for his loyalty and dedication to his master. A statue stands at the Shibuya station in Tokyo today in honor of faithful Hachiko. In the United States, a dog named Balto is famous for leading a dog sled team in the 1920s from Nenan to Nome, Alaska, in a dangerous but successful attempt to transport medicine for treating diphtheria. Because of the successful transportation of the medicine, Balto is regarded as a hero. Movies about Hachiko, Balto, and other heroic dogs from the past have been made and tell about their loyal and brave deeds. Browse through the photos below to see examples of dogs in books, movies, TV shows, advertising, and history. In addition to the views of dogs listed above, there are other views about dogs that are very different. In some cultures, such as China and some other Asian cultures, dogs are considered acceptable for eating and many people will consume them. However, Chinese people also honor dogs and have included them in their zodiac. In certain Islamic cultures, dogs are considered to be unholy and unclean animal. Dog owners, along with their pets, can be arrested and put in jail for owning a dog. Negative views and attitudes towards dogs exist even in cultures where many people think of dogs in a kind and positive manner. ﻿Puppy mills﻿, places where many dogs are bred multiple times to produce puppies for sale in great quantities, put the animals in cages that are too small for the dog, often not bathing and exercising the dog or allowing the dog access to fresh air. Other people, called hoarders, keep too many dogs in their homes and are either unable or unwilling to take care of their animals properly. Some people abuse their dogs, either by neglecting to give their animals food and water and to take care of the dogs when they are ill, or by physically hurting the animals by hitting or kicking them. Other people train dogs to be aggressive and to attack other dogs in dog fighting arenas, which are illegal. Although different ways of looking at dogs exist, it is important to remember the difference between the views of another culture and wrong behavior. While you might think it wrong or gross to eat a dog, consuming dog meat is only a difference in culture, and to people in those cultures it is just as normal as you eating a piece of chicken or a hamburger for dinner. Abusing or mistreating dogs, however, is not a cultural difference but is a moral wrong, for we should be kind in our treatment to animals. If you have a dog at home, you must remember to treat it kindly and take good care of your pet. Now that you have learned about the different ways other cultures view dogs, click on the button below to learn new vocabulary associated with dogs.